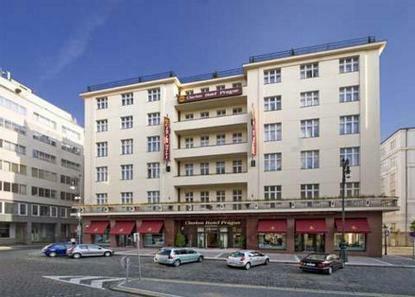 The hotel is situated in Prague 1, directly in the citycentre,builtin a quiet area close to the famous VltavaRiver and OldTownSquare, 30 minutes' drive to theinternational airport. Famoussitesare in easy walkingdistance. 93 cozy rooms and suites,bathroom,hairdryer,mini bar, IDD phones, satellite and payTV,personalin-room safes, free high-speed Internetaccess.Securedparking facilities, 70-seat FantasiaRestaurantofferinginternational cuisine, 20-seat cafe bar, oneseminar roomforup to 30 delegates, free Internet u Pet Charge: 40EURper night perpet. Children 12 and younger stay free whentheyshare the sameroom as their parents or grandparentsif no additionalbedding isrequired.